As promised, here are some tips on GMing weak characters based on a few of my ideas and on the great tips you sent in. Thanks again. Hopefully there are some good ‘powerful characters’ tips out there too for a follow-up future issue. Jump over to Dragon Scale Counters and pick up some of their durable plastic counters for your campaign. Then you can put that candy back in the cabinet and keep your dice for what they’re meant for – rolling damage. To make it easier to switch, DSC is offering a special “One of Everything” pack for 1/2 price through the month of April. Who says every foe the PCs meet is in perfect health and the toughest of their species or race? Give your foes some imperfections to bring them down to the PCs’ level. The PCs walk around hurt, why can’t their foes? Reduced health increases weak PCs’ chances of killing or driving their foe away and lets you expose them to a wider range of challenges than they would normally get to encounter. Remember during your planning though, that some foes’ special abilities and powers might not be affected by wounds, so they could still overpower the PCs too easily to be fun for the players. The foe is hampered by some form of disfigurement, perhaps from birth or perhaps from a recent incident, which makes them less challenging than normal. A mind flayer with a bent tentacles, a beholder with cataracts, a wizard without fingers. Young monsters lend a touch of realism to your campaigns by showing that not all creatures encountered are in the prime of their lives. Immature foes will generally be weaker in many ways and thus make excellent challenges for frail PCs. Aging foes can also be less effective and lend some in-game realism. They might not be as alert, as fast, or as strong as they used to be. Certain powers might have faded, including mental faculties. And, perhaps, the desire to live has diminished to the point where even beginning PCs could ruthlessly extinguish it. Recently in my campaign, opponents of the PCs have made several stupid moves that made them easier to hit or be taken advantage of. 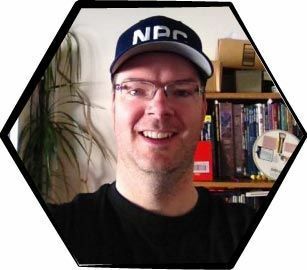 The first couple of times, I think my players thought I had unintentionally made those mistakes (and maybe I did, and maybe I didn’t ;), but I kept my poker face on and kept going. One situation was a case of bad leadership, another was a choice of honour over wise strategy. Any way you cut it, choosing a more dangerous course around PCs is stupid and can help make tough foes weak enough for the characters to tackle. Do your players roll dice to make their characters in your game? If so, you could rule that a foe had the bad luck of “rolling low” and is much weaker than his brethren. These afflictions are great tools for weakening foes as their effects are completely arbitrary in most game systems, thus giving you a lot of planning freedom. For example, a normal sword in D&D just does physical damage–a few hit points lost perhaps, so a foe wounded by a sword isn’t penalized much and can fight on without handicap. With a disease however, you can reduce more than a foe’s health, you can mess with his magical abilities, movement, mental faculties…the sky’s the limit and you’re not breaking any rules. You can get creative with poisons, diseases, and curses too, which makes planning a lot of fun. A foe with an enemy greater than the PCs distracts, wounds, or forces him to make unwise decisions in a time of crisis (such as during a conflict with the PCs). This is a great set-up and tension builder too because you can have the PCs meet a foe who would normally kick their butts or worse, but is afraid for some strange reason. That should get the PCs’ antennas twitching. Then, the foe’s foe enters and s/he is obviously very powerful, possibly too powerful to notice the puny PCs (or so they hope…). All of the methods above for weakening foes also open the door wide for great roleplaying opportunities, should you wish. For that reason alone, you might consider adding a weakness to most of your bad guys on a regular basis. Rather than weakening the foe and bringing it/him/her down to the PCs’ level, consider temporarily boosting the characters so that they can rise up to the challenge. Changes the characters up a bit and makes play more interesting for the players. Gives players a taste of their characters’ future power, and hopefully whets their appetites to succeed in your adventures. Lets you dabble with new rules, powers, and abilities as practice for when the PCs do achieve that level of power. Let the characters know what’s coming next and give them time to prepare plans, defenses, ambushes, and such. If the PCs start to quibble and squander their time give them warning signs that the foe is approaching. Give the party some minor NPCs to control and wield. This makes for great roleplaying too, as henchmen are notoriously fond of their own lives. Scrolls, potions, items with charges, grenades, and vehicles with little fuel left are good ways to aid the characters and maintain campaign balance. Try to pick unusual items, if possible, to keep things interesting. For example, instead of handing out healing potions to the PCs next mission, dispense a wand of fireballs with two remaining charges, a potion of leadership/charisma, and a scroll with three enlargement spells. Make the PCs “McGyver” their way out of situations rather than giving them more hit points. PCs a temporary advantage, using ideas from Tip #2. This adds a new and fun challenge for the players as they try to defeat their opponents before their foes waste their one-shot magic items or secret weapons and such. Combat is fun and exciting on many different levels, but it’s also a good idea to challenge weak PCs through roleplaying as well. Give players the option to solve their PCs’ problems through in-character negotiation, threats, or wit. A powerful foe will give the PCs what they want if they can make him laugh. The foe has a hostage. The scene is a public place and, though the foe is easily killable, there are no legal or moral reasons to attack him. The foe has important information that would die with him. The PCs need the foe to confess in order to “win” the encounter. The foe’s enemy is nearby and approachable. Flip through your players’ character sheets and make a list of interesting skills that they have. Then try to think up an encounter or challenge that could focus on that skill. The next clue resides in a locked box at the crazy old lock-maker’s shop. However, the PCs discover after breaking in that there are 15 locked boxes in the place. The rogue happily takes out his tools and starts whistling as he gets to work. The bishop is a cranky, nasty old man. Who would have thought his passion for butterflies would let him befriend the druid and help the PCs get the holy scroll of approval? As the PC is carried downstream he sees a tree branch to the left and some rocks to the right. The branch looks weak, and the rocks look wet. The body of a large ogre, face down in the water, is rapidly approaching and could either dislodge the PC if he’s holding on to something, or crash into the PC if he’s still hurtling downstream. The PC can let go, brace himself, dive underwater, or try to grab the body. Regardless of whether the PC is swimming, being carried away, or is holding on for dear life, he spots a dark hole and something glittering within, below the water. Does the PC struggle to safety or investigate the hole? Each decision might require some skill checks or dice rolls, but it becomes a much more interactive encounter if done this way versus a simple series of dice contests. Get Inspired By The New d20 DM Graphic Cyclopedia! Beautifully illustrated in full color, the DM Graphic Cyclopedia is a d20 sourcebook of all new and original monsters, spells, potions, magic items, arcane weapons, characters, and scenarios to assist, inspire, and enhance the creation of memorable d20 campaigns. — Review by Wayne Tripp on RPGNow! Instantly available through RPGNow! for only $5! There are still more tips about GMing weak characters to come. However, I’d like to look at the other side of the spectrum now: powerful PCs. These are the characters who are no longer challenged by alien armadas, undead armies, or possibly even the gods themselves. How do you challenge them? What kind of adventures and scenarios have you created for them? Do you have any tips on GMing powerful NPCs? I like things of sentimental value. I had one adventure where the party happens upon the mayhem left by a group of gnolls. After vanquishing the gnolls, one of the women in my group found a dirty, faded doll. She immediately took it and tied it around her belt and it became a focus for her character’s anger toward her adversaries. The interesting thing is the doll had no *value* inside the game, but she treasured that more than all the gold they earned on the adventure. So that is my tip, give some of the treasure sentimental value and your group will latch on to it and remember it long after the gold is spent. Again, this can be overdone, but I’ve seen fighters leave magic weapons behind, and then fight to the death over the scarf given by a maiden. How about “play money” for coins? Since I live in Southern California, close to Disneyland, I go a lot and discovered that the “Pirates of the Caribbean” souvenir store has a pirate chest full of plastic silver and gold coins and plastic gems of every color, shape & size! Halloween and party stores are also a great place to find what a GM needs as a role-playing aid. Also try local flea markets for toys & other goodies. I have this same problem with [stocking] libraries. For example, my players right now have just taken a tower that supposedly contains a substantial number of books. But I’ve been reading a lot of history and I’ve come up with a few ways to make my job easier. People in those days didn’t have very many books. Every single book was hand-copied at great expense. If you consider that each page of a book is a piece of parchment – sheep or goat skin (2 sp a sheet) then just the parchment in the book is worth 20 gp, add 8 gp for a bottle of ink, and then hand-copying at a rate of say, 1 page a day for decent calligraphy at 3 sp a day for a scribe means another 30 gp, then a library of 100 books is worth about 6,000 gp! “Libraries” of 10-20 books would be much more common, and they would all be what we would consider classics today, such as epic poetry and chronicles of travels, or else they would be scientific treatises, atlases, religious texts, and so on. Needless to say, few scribes are going to spend their days copying out trashy romance. The books might require a more than cursory glance to figure out what they’re about. You could rule that, to determine anything of substance from the book, a character needs to spend an hour flipping through and reading it. What’s worse, the book might be in a foreign, arcane, or ancient language. This was even more common in the past than it is today, when books were found wherever they could be found, often in foreign markets, and the translation of a book used to be a major event (especially if the original language is dead). The handwriting might also be so poor, especially in a log or notebook, that it slows down reading substantially or requires magic to decipher. When they’re finally deciphered, a lot of the books are going to turn out useless. Either they’re lengthy tracts on the benefits of washing every other Sunday, or they’re philosophical meanderings on the meaning of a particular emperor’s minor campaign in the author’s country. Maybe the book is obviously wrong or out of date and simply there for historical reasons. And some books will be copies of texts that everyone has (like the plays of Shakespeare in our world). The library might have individually locked cabinets, with separate keys now lost. Or, the books might have locked covers. The valuable ones might even have magic locks. Characters will have to be careful opening them, especially if one of the books destroys itself when they try to open it! Any large library is a treasure trove and it’s not going to be open to the general public. Admission might require large payments, noble title, deposits, royal permission, a long waiting period, or service (e.g. making a copy of a book for the library). The library will probably be well defended as well, and have its own host of maintainers with bureaucracy, etc. One suggestion in #112 gave the idea of playing certain music for certain characters or situations. If you have the means to bring a laptop to the game you could attach music to a powerpoint slide. I have several scans and images I use for various characters, NPCs, monsters, etc., and I will be attaching appropriate music to each of those slides since I read the great ideas in #112. Whether they admit it or not, most gamers will “meta” game. My old group had a similar problem so our GM made a few minor changes that made his job a little easier. Sometimes, when we looked around/ransacked a room, we wouldn’t hear him roll the dice (secret doors roll). Since we heard nothing we would then leave. And then, when we did hear the GM’s roll, we would re-double our search efforts. His simple fix was to just roll dice for fun. After a while the group became desensitized or went crazy trying figure out which roll “counted” so we stopped meta-gaming that way. We also would “meta” game when our GM asked us for specifics like “what’s the marching order of the party,” or “which hand do you open the door with?” which would prompt us to exercise more caution than would normally have been shown. So, what he would do was ask us specifics for everything so we would never know what was going on: “how far back do you tilt your head when you drink that potion”, “which one of you eats first?”.